Vegan diners are paying up to 65 percent more for their restaurant meals than those ordering 'standard' meals, according to a new report. The research from Caterer.com examined the dining habits of so-called 'selective eaters' and how much they're willing to spend. According to the data, 25 percent of UK diners are now considered 'selective eaters', with nine percent of these opting for vegan meals, 22 percent vegetarian, and 30 percent having food allergies. "Vegetarian, flexitarian or pescatarian. Gluten-free, dairy-free or fat-free. We're paying more attention to what we eat (or don’t eat) than ever before," said Caterer.com. "One in every four people who walk into a UK restaurant will have a dietary requirement of some kind. Digging a little deeper, we found that selective eaters are more likely to be under the age of 35, identify as female or non-binary, live in an urban area or on an income of £50,000 or more. They are also more likely to live in the east of the UK. "We asked over 2,000 people with dietary requirements about their eating out habits. And it turns out that, far from being a burden, they're a huge opportunity for UK restaurants. "Selective eaters like to dine out regularly. 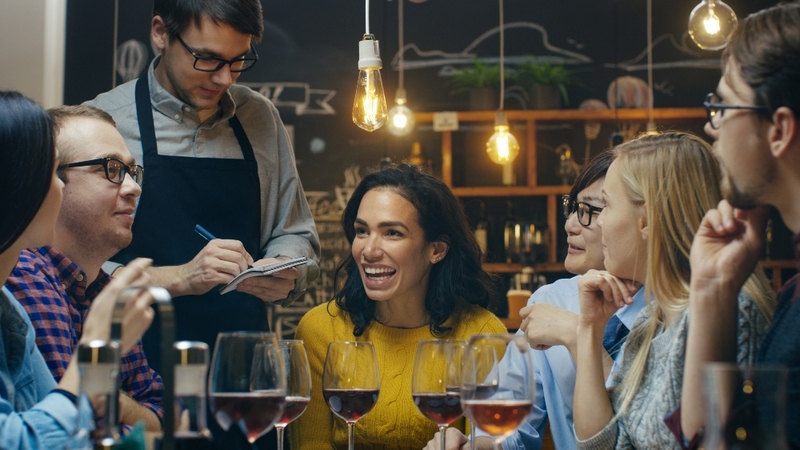 80 percent eat out at least once a month and 60 percent would go out at least once more if restaurants went the extra mile for them. If restaurants can fulfill the demands of people with dietary requirements, the benefits could be huge." Some outlets have taken steps to accommodate diners with various dietary requirements. Meg Ellis is the Marketing Director at Honest Burgers, which serves the vegan Beyond Burger. "At Honest we put a lot of effort into training our staff around dietary needs and preferences and ensuring our processes are robust and externally audited so people can feel reassured before their first bite. We support this with a broad approach to recruitment," she said. "We have a number of vegetarians and vegans amongst our teams who helped to test our recipes and their response has been really positive." But other restauranteurs say the costs of developing vegan meals can add to their cost. Writing for the i paper, Chef Chantelle Nicholson said while she doesn't charge the same for meat and vegan dishes, despite vegan ingredients being cheaper, the time and effort that goes into creating the dish can be higher. Comparing a steak meal with braised aubergine, she said: "My fixed overheads are the same for each: rent, rates, power, water, gas, waste collection, music licence, operating an EPOS system, credit card charges – the list goes on. "The cost of the main elements – a hanger steak versus an aubergine – is where the first difference lies: the aubergine portion itself is 25 percent of the cost of the steak. "But the 'labor' (for want of a better word) cost is probably flipped. So, why is the cost not the same? The answer is the age-old formula of supply and demand. If the demand at that price point is not there, it won't sell. And restaurants need to sell food to remain in business."